These are as custom as you can get. 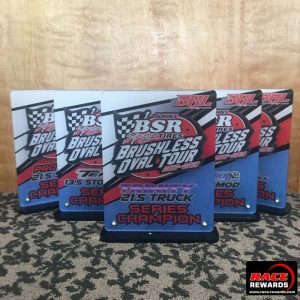 Base can be any shape and color, with or without graphics, background can be any size shape and color with or without graphics, stand offs can be any size shape and color with or without graphics! I think you get the idea. 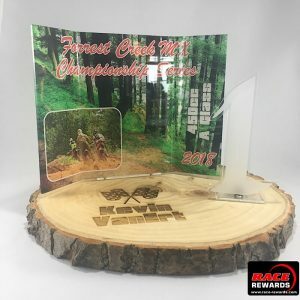 Our staff at Race Rewards can design anything you can think of! 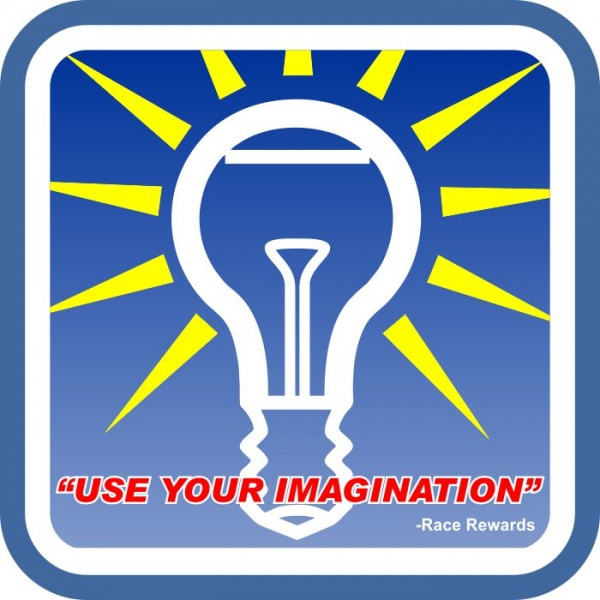 “Use your imagination” and we will design something you’ll love! Give us a call!